Nikon D810, D800, D750, D700, D610, D600, D7100, D7200, D7000, D7300, D5000, D5100, D5200, D5300, D5500 D3100, D3200, D3300 ,D90, D80, D70s, D70, D60. Minimum Focusing Distance 0.45m. 3,Supports auto focus and manual focus modes;. Autofocus: Yes. Sony FE 50mm f/1.8 Lens. Focal Length: 50mm. Magnification: 0.14x. In case of below conditions. Filter Thread Front: 49 mm. Tripod Collar: No. Nikon 1 NIKKOR 18.5mm f/1.8 Lens. Autofocus : Yes. for Nikon 1 Series - Silver. -Nikon 1 Mount Lens/CX Format. Format Compatibility : Nikon CX. Angle of View : 46° 40'. Weight : 2.47 oz (70 g). Color : Silver. GOOD - Exceptional condition, exterior shows signs of previous use. These should have no impact or affect on image quality. I participate from Japan. So I can provide you the best service. ■ Total condition/ As is. Tiny scuffs from normal use. It works properly. Canon EF 50mm f/1.4 USM is sharp even wide-open, and of course its f/1.4 large aperture makes it perfect for low-light shooting. By optimally distributing power with a gauss type design and two high-refraction glass lenses, flare at maximum aperture is minimized and astigmatism is greatly reduced. Nikon 50/1.4 Nikkor AI Lens. This 50/1.4 Nikkor AI lens is in good condition with good glass. good condition. Sony SEL 50mm F1.8 OSS Silver E Mount NEX Lens ( SEL50F18). so, this is box set lens and you have BEST price. Front lens cap. Appperance is tiny scuffs from normal use. There is no fungus. There is no fog. I send a product by EMS. ■ Appearance. Condition is a personal opinion. Pre-owned,There is a problem. [Lens constitution] 5 group 6 sheets. Lens cap E-49. Warranty Warranty is valid only Japan. Detail [Angle of view (horizontal, vertical, diagonal)] 40 ° · 27 ° · 46 °. The initial failure of a new product needs to request a maker. SEL 50 mm F/1.8 E OSS. E-Mount Lens. Lens is scratch free. You can rest assured that your order will make it there in one piece. You must also ask for a quote before purchasing. We do our best to ensure that everything goes smoothly, but mistakes can and will happen. Lens CARL ZEISS JENA FLEKTOGON 4/50mm Wide Angle GDR SLR lens. Lens: " CARL ZEISS JENA FLEKTOGON " 4/50. Fixing: bayonet Pentacon Six, Kiev 6C. Manufacturer: Carl Zeiss. Features: aperture portrait lens with the effect of spin motley background "bokeh". Sony FE Autofocus Motor 50mm f/1.8 Lens (Black)!! BRAND NEW!! Sony FE Autofocus Motor 50mm f/1.8 Lens (Black)! DC Autofocus Motor. A DC actuator is also employed to provide quick and precise autofocus performance that is also quiet to suit video recording applications. Front & Rear Lens Cap. Appearance is beautiful, tiny scuffs from normal use. No fungus. ■Appearance■. Above condition is based on my own opinion. ■Serial Number■. It works properly. ■Functional■. Sony Minolta 50mm f2.8 AF 1:1 Macro lens for Alpha A-series DSLR - Nice Ex++! This is a beautiful Minolta Maxxum 50mm f2.8 AF 1:1 autofocus Macro lens with caps for use with Sony A-series DSLR cameras in excellent condition! The lens only shows some very minor wear so I rated it a 9 condition! The glass optics are also clean with no scratches, marks, fungus or dirt. 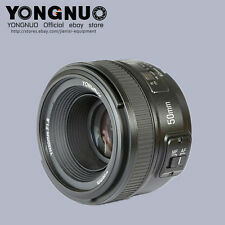 It focuses smoothly and the aperture works properly with no problems. (49mm filter size). Here is a used Sony (SEL50F18) E 50mm F/1.8. Works great! Sony E 50mm f/1.8 OSS Lens (Silver). The lens has a lightweight and compact design with an aluminum alloy lens barrel and engraved focusing ring to provide greater handling as well as an aesthetic appearance. The lens works properly and shows no signs of wear on the barrel. The glass is flawless. The item pictured is the actual item for sale. 9 95% No strap wear, brassing or dents. Exceptionally nice. Mamiya Sekor C 50mm f/4.5 Wide Angle for RB67 Pro S SD. From Japan. It works properly. ■ Functional. Appearance is beautiful. There is a small blemish, but it does not affect the shooting. I send a product by EMS. Lens is in good condition. Works exactly as it should. There is tiny dust inside the lens. This lens is clean. ◆Lens&Optical system. There is no fog on inside of the lens. This lens works fine with no problems. You can enjoy taking photos with the lens in good condition. There are a number of silver T lenses, though these are rare and not often seen. The lens takes series 63 drop in filters which are held in place by a Series 8 retaining ring (50350), or the lens shade (40274), or ProShade adapter ring (40339). With a 50mm focal length and F1.8 aperture, it's perfectly suited for portraiture. The large max aperture also lends it to lower-light situations better than the standard kit lens, which might max out at F4 or F5.6. It's fast f/1.8 maximum aperture and seven-blade circular diaphragm help create beautiful images by allowing users to use selective focus techniques with the shallow depth of field. Wild Angel for RB67 Pro S SD from Japan 10421. [Near Mint] Mamiya Sekor C 50mm F/4.5 Lens. There is no separation. ■ Total Condition. tiny scuffs from normal use. Beautiful condition. Appearance is beautiful. [Excellent !]. · There is a very shallow scratches on the front lens. · Very few tiny dust on inside lens. · Lens Cap (Front ,Rear). Total :Excellent ! · Excellent (minimal signs of use). · Excellent (many signs of use). ■ Mamiya-Sekor Shift Z 75mm f4.5 W Lens for RZ67 Pro, Pro II ■. IncludingMamiya Rear Lens Cap, Kenko MC Protector 105mm Lens Filter. Fairly clean lens with no fungus or scratch, but haze is present. Clean blades. Mount : MAMIYA. The aperture closure moves smoothly. (Inside of the Lens). Item location: Japan. Condition : Used Excellent Condition. Excellent : Show signs of moderate use / or slight signs of use. Lens with smooth aperture ring and perfect AF. lens OK , glass OK, aperture OK, mount OK, af OK. Include cap. Autofocus Yes. Focal Length 50mm. (ex Russia). Papers and 1-year Warranty from the manufacturer in Japan (valid only in Japan). Focal length - 50mm. Angle of view°78°. This is a good wide-angle lens for the К-6 system. There is no distortion. The image is flexible and sharp. Lens mounts:P6. Lens body is in excellent condition (minor signs of use).